I’ve been working on some images from a recent family portrait session, and also creating some new Christmas Card designs at the same time. 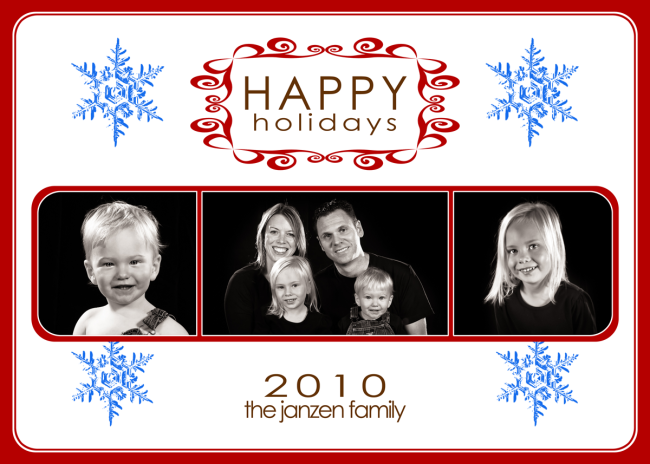 It was a natural fit to test some of the images from the portrait session with the new greeting card design. I liked it so much I just had to show it off. What do you think? This was such fun session and I have lots of images to go through. I’m very excited by lots of them and it’s been very hard to pick my favorites! For more information about purchasing greeting cards, please see my recent Photo Greeting Card Product Showcase post.